Anatomy: Torsion is a mechanical disorder. Each ovary is supported by two ligaments, the suspensory ligament of the ovary (laterally) and the ligament of the ovary (medially). 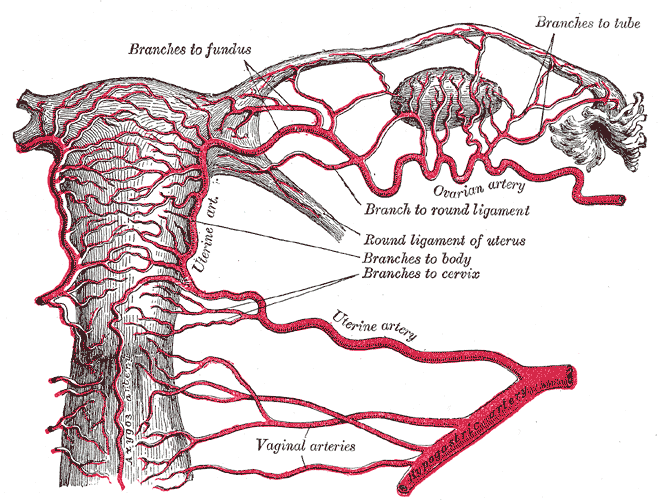 Each ligament contains its own arterial, venous, and lymphatic system. Most cases involve an enlarged ovary (i.e. 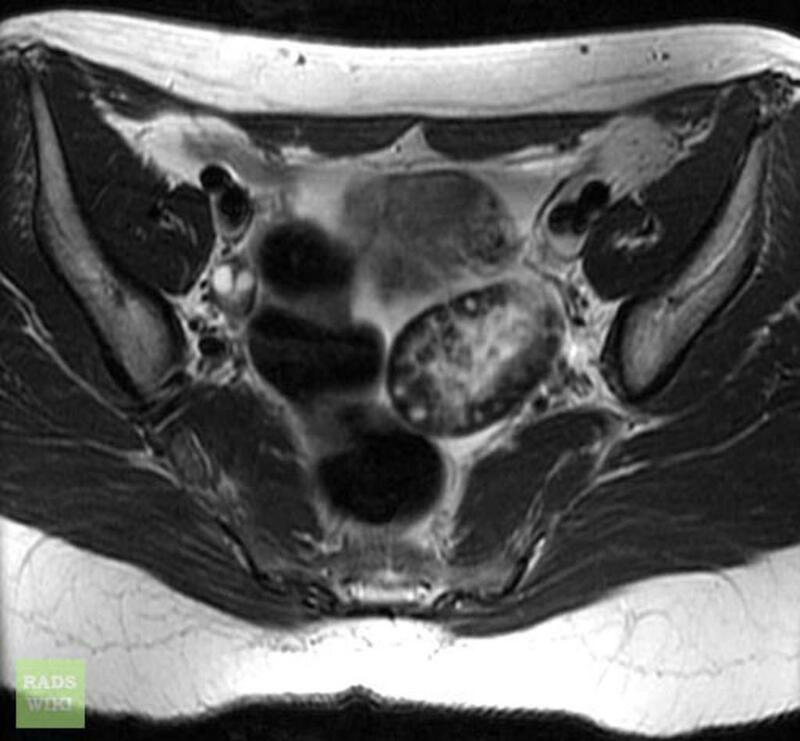 a cyst, mass, multiple ovarian follicles). 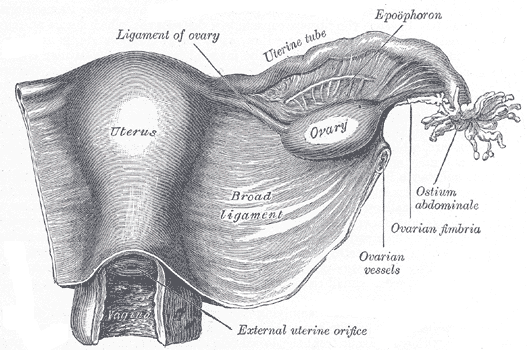 This enlarged ovary then rotates on the axis of the ligaments. The twisting of the ligaments restricts lymphatic outflow resulting in congestion and further swelling. The swelling inhibits venous return, which results in additional congestion. Finally, arterial supply is compromised. Right ovary torsion is more common because the right utero-ovarian ligament is longer than the left and the sigmoid colon in the left side of the colon physically limits left ovarian movement. 90% report pelvic pain. Back and flank pain are common as well. Infants present with vague symptoms, i.e. feeding intolerance, vomiting, abdominal distention, fussiness, or irritability. Patients often look uncomfortable but otherwise, exam is inconsistent. 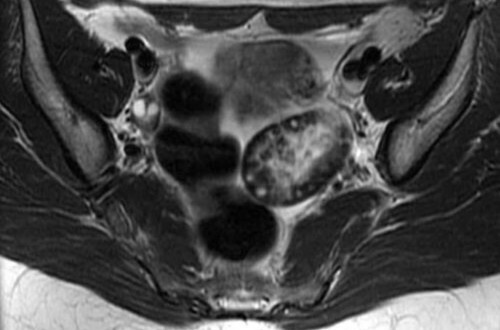 85-95% of patients have an adnexal mass but GYN attendings and residents had a poor sensitivity (21-36%) for detecting masses during pelvic exams under anesthesia (Padilla 2000). 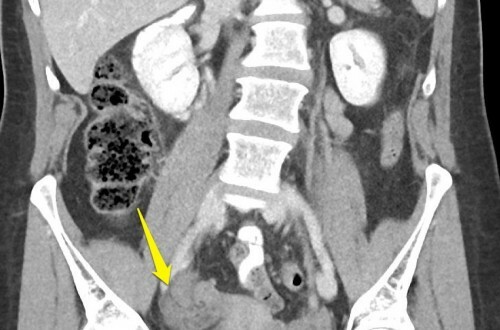 Emergency Physicians had poor inter-examiner reliability for detection of pelvic masses (23%) and the presence of adnexal tenderness (32%) (Close 2001). Regardless of expertise, the pelvic exam does not appear likely to be particularly useful in diagnosing, or ruling out, torsion. Good alternate imaging modality for evaluating for ovarian torsion. 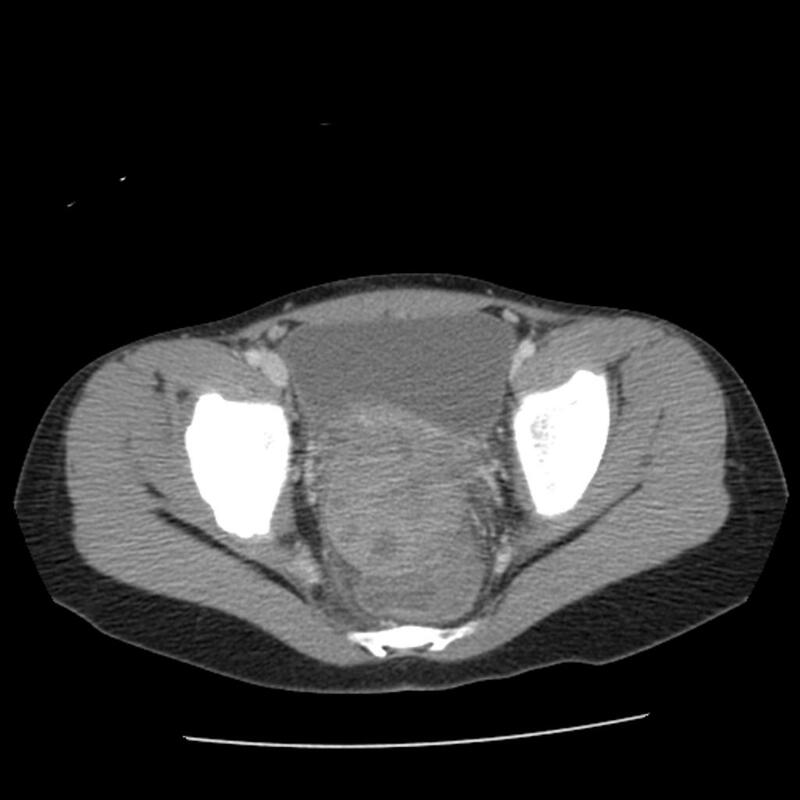 Like US, studies suggest that torsion is unlikely in patients with CT showing ovaries that appear normal in size, location and appearance (Bronstein 2015, Swenson 2014). 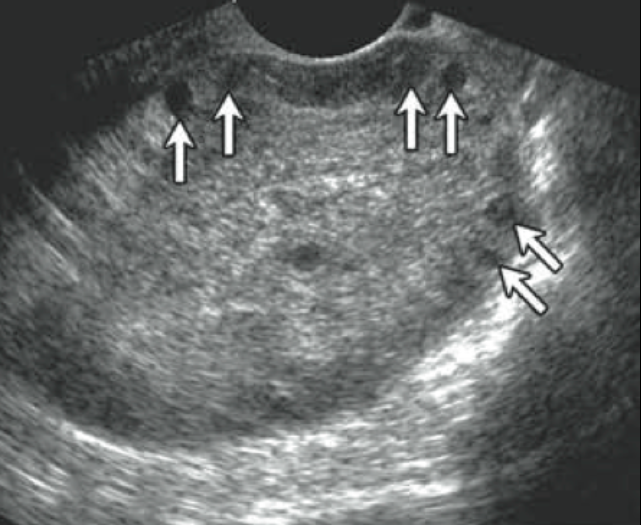 Ovarian torsion rarely presents with classic symptoms. Always consider torsion when evaluating a female patient with abdominal pain, back pain, or flank pain. 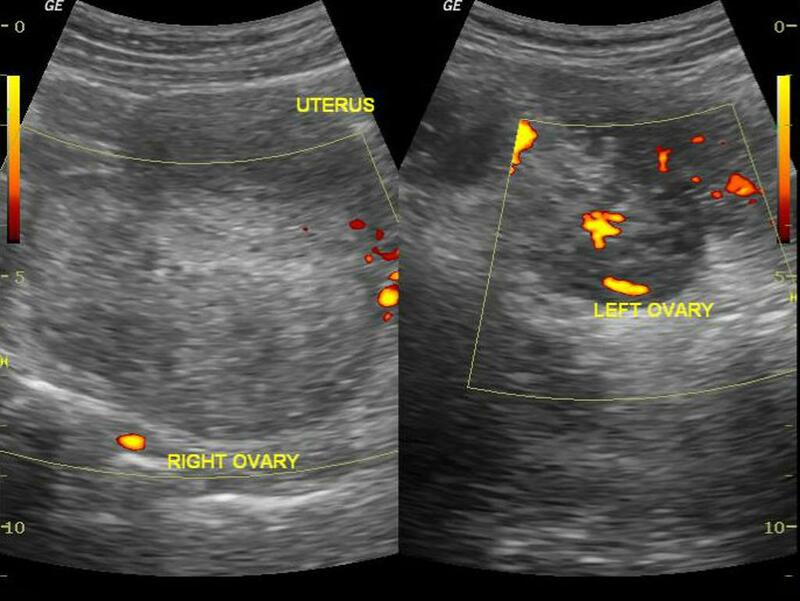 While US is a great first initial test for the evaluation of both ovarian torsion, do not be reassured by normal dopplers. The most common finding is an ovary > 4cm. CT may as sensitive as US. 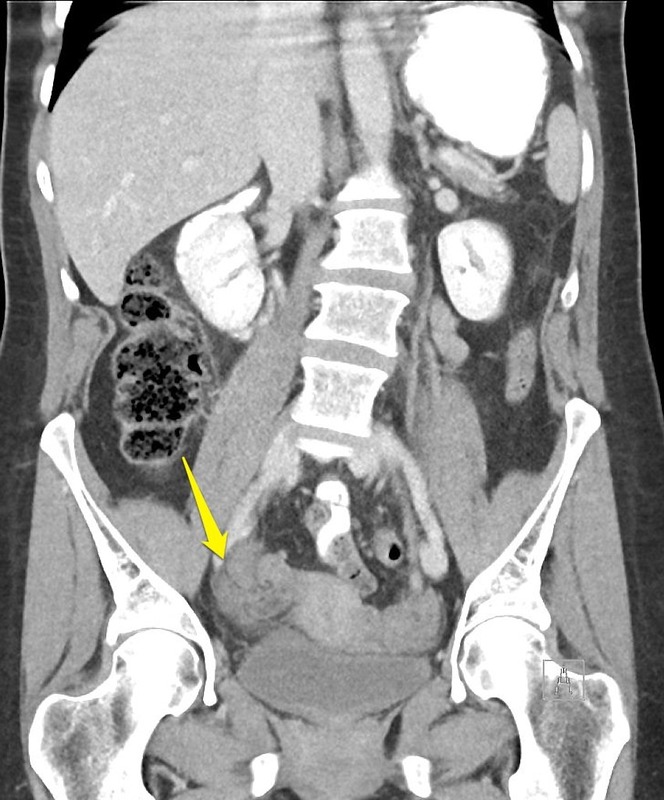 A CT in an adult female that shows normal sized and appearing ovaries likely excludes the diagnosis of torsion. 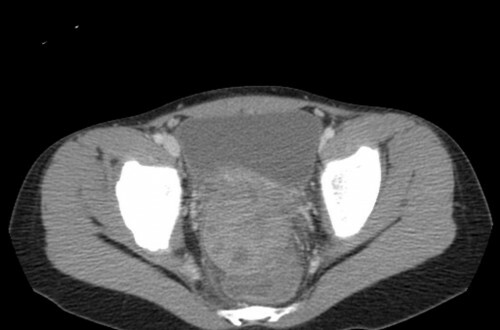 Emergency GYN consult is required in all suspected ovarian torsion cases. Laufer MR (2015). Ovarian and fallopian tube torsion. In S.J. Falk (Ed. ), UpToDate. Waltham, MA, 2015.